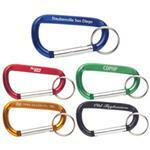 Custom Carabiner Keychains with Strap Laser Engraved with your logo by Adco Marketing. 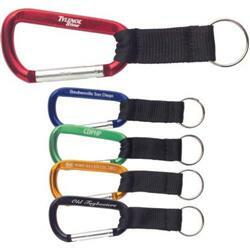 These carabiner keychains come in a variety of colors. FREE 3-DAY RUSH PRODUCTION AVAILABLE! ON SPECIAL! 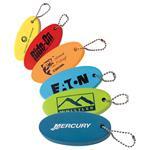 Available Colors: Red, Blue, Gold, Green and Black. Typical Imprint Area(s): 3/16?h x 2?w. 32 pounds per 500 Approx.